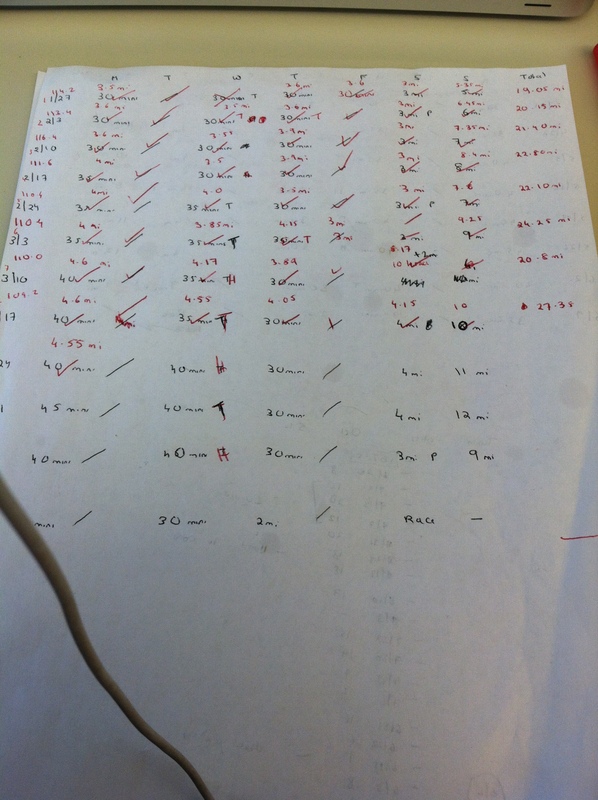 Day 62 and 63 – 9 weeks done and done! Saturday was long run day. My visit to the PT had given me the confidence to go out and tackle 11 miles in preparation for my second half marathon which will be kicking off in three (!) weeks. I also wanted to run as much as possible on the actual race course. 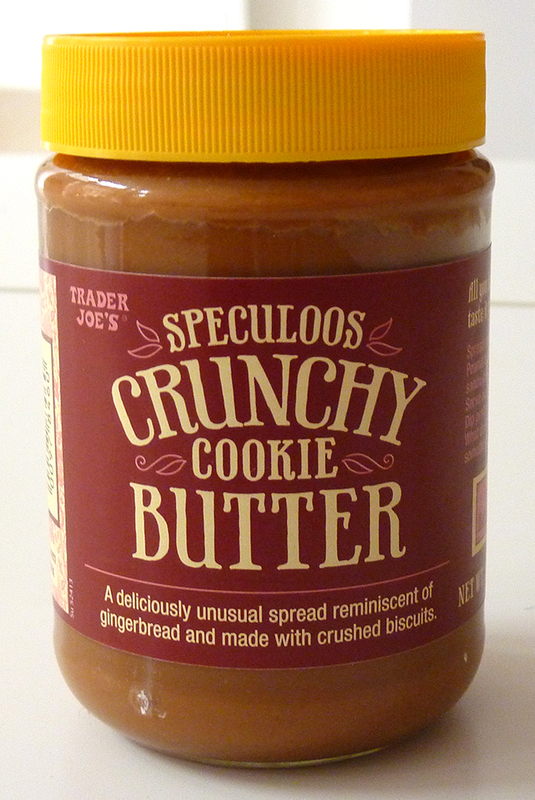 I woke at 7 AM on Saturday and had a snack of wholewheat toast and Trader Joe’s cookie crunch butter. 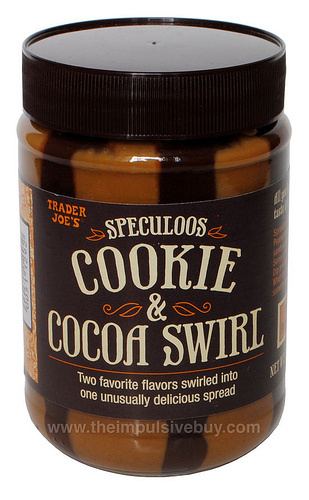 I’m kinda excited to finish this jar because this is waiting in the pantry! I also had half a Nuun Orange tablet. I then hopped on a bus and headed up to the University of Utah where the race will start. I followed the course for a little over 9 miles. I saw a ton of very friendly runners and identified the two killer uphill sections. But the course is mostly a gentle downhill and has some pretty views over Salt Lake and the surrounding mountains. And no hip pain! I felt a couple of twinges but sternly told them to piss off! I was no doing sore hip today! My knee was achy but this improved over the run.I didn’t quite manage the ice bath but did ice my hips and knee for 20 mins and wore my compression calf sleeves for the rest of the day. I managed 11.04 miles at 8.17 min/mile pace – a little faster than I had planned but such a confidence boost. I feel like I am ready for this race! Now I just have to get through me peak mileage week and then have a two week taper. 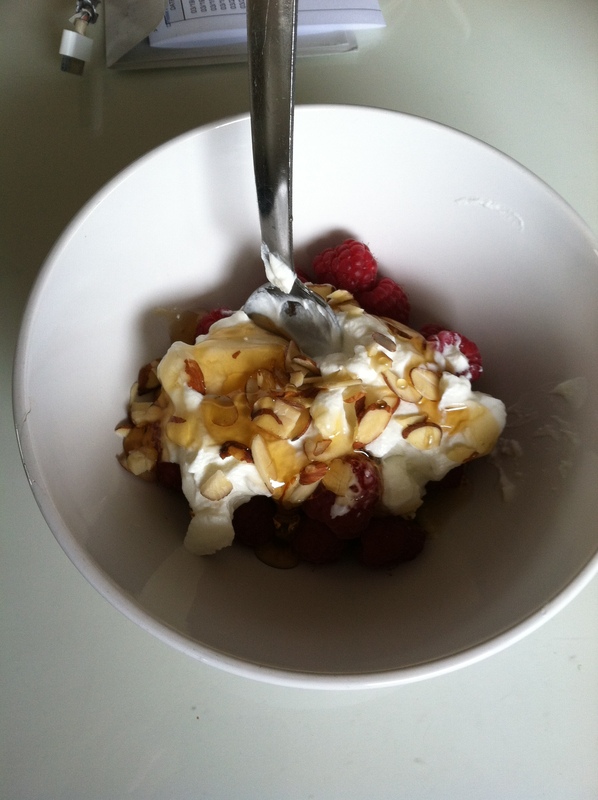 Post run refueling was raspberries with Greek yoghurt, flaked almonds and honey. 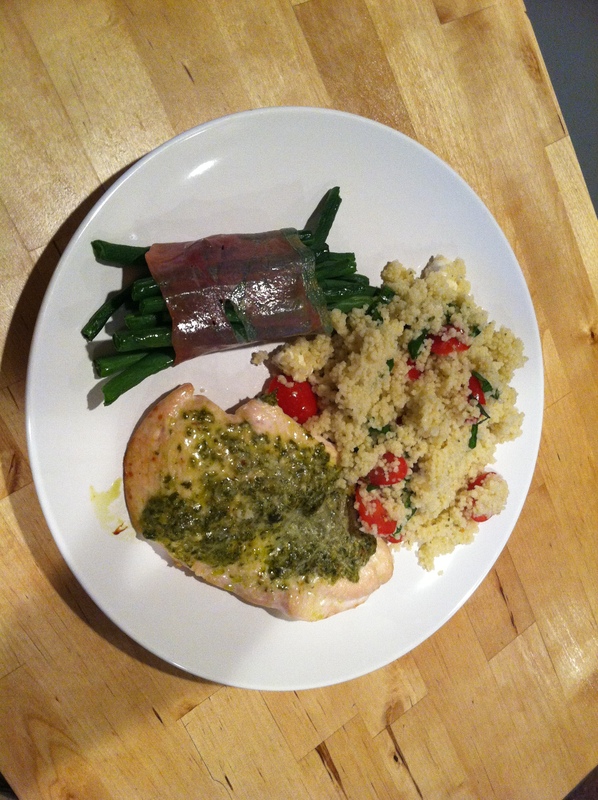 So good – it was like dessert! 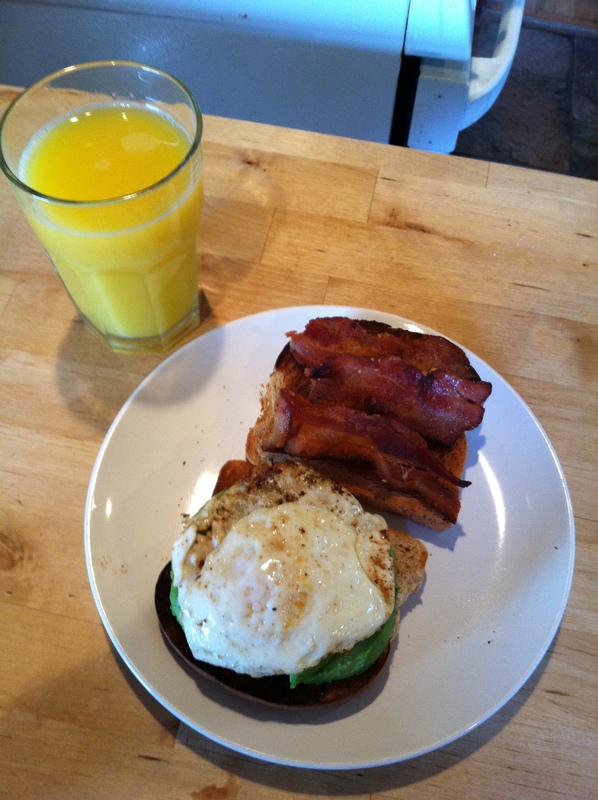 J volunteered to make breakfast sandwiches – egg, bacon and avocado on toast. So good. 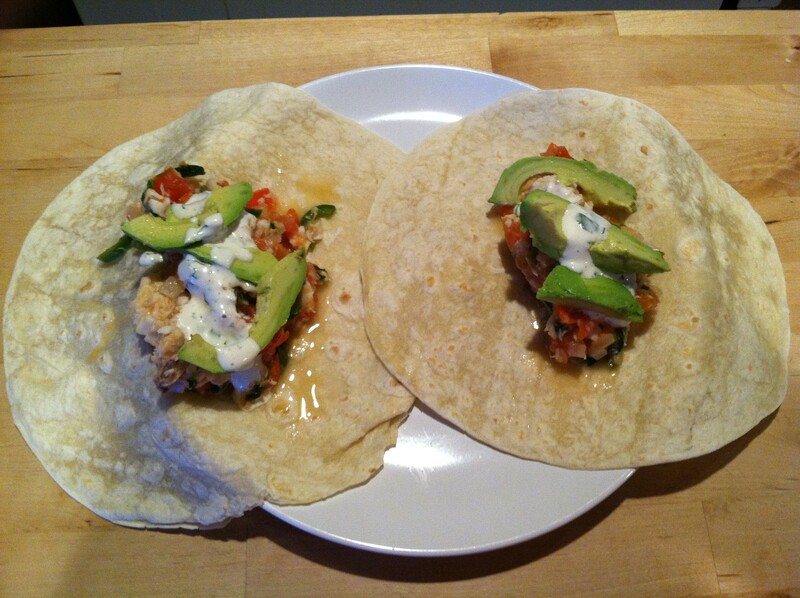 And even better because I didn’t have to make it myself. Saturday was also a baby shower for one of my girlfriends. I decided to bring cookies from the best cookie maker in SLC. Amazing! And apologies for inducing cookie-envy in you! 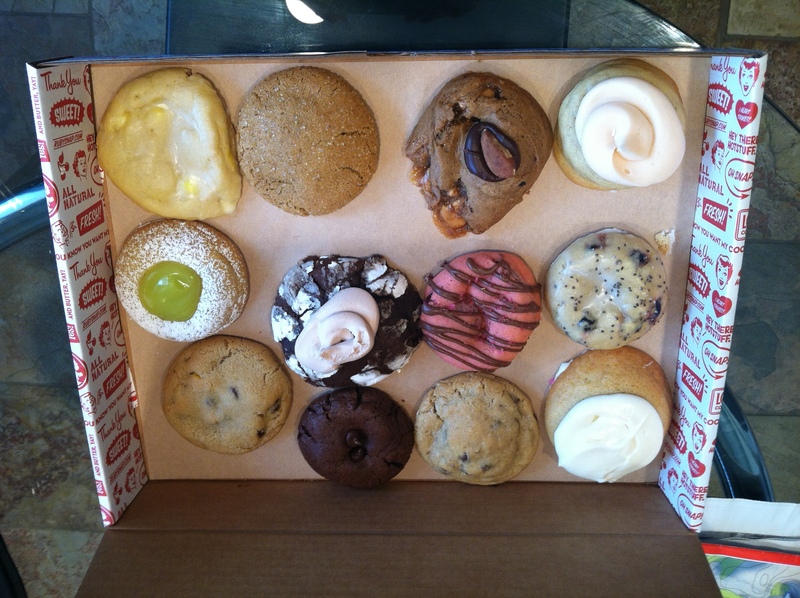 And yes – all of these cookies were amazing. Lucky for me I also earned a free cookie voucher for my next visit. After the shower I came home to another J-cooked extravaganza. 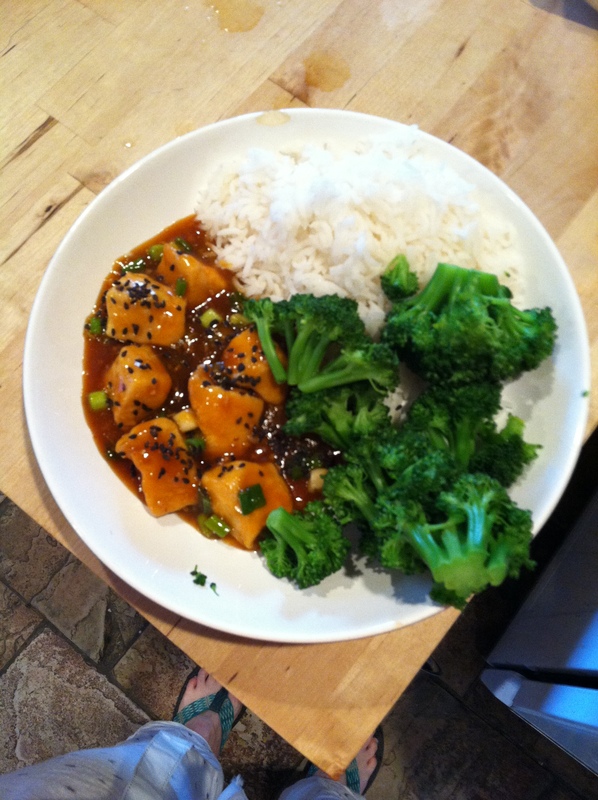 That dude has some serious cooking skills. More cookies for dessert because why not? And then a night at our local theater to see Deathtrap – a comedy thriller – before falling asleep watching Louis CK on SNL. Sunday I woke up with no pain! I give credit to the IC in RICE. I did a slow 4 mile recovery run before winter decided to reappear. 4.1 miles at 9.05 min/mile pace. 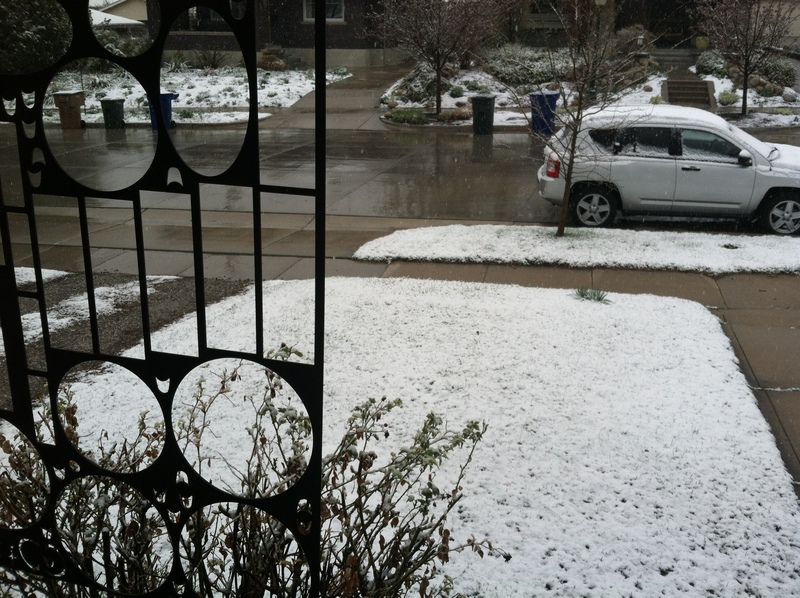 Hello winter I guess you’re not done with us yet……. We decided to hit the climbing gym in the afternoon before settling in for the evening with a cocktail and some Italian-inspired dinner. Day 61 – TGIF! TGIF! So I ended my week of yuck by filing my taxes! Woohoo! I feel as if I have dealt with all my outstanding tasks for at least six months. Today started with a 30 minute leg workout and finished with a 30 minute core workout. Also got some frozen peas so I can fashion some kind of ice diaper for after my long run tomorrow. Have to remember to put the I in RICE. 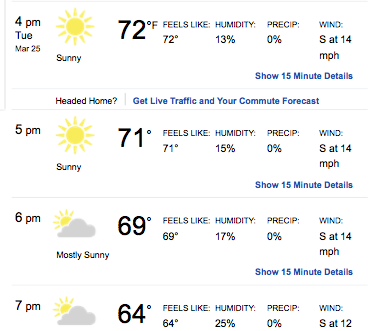 I switched my long run to tomorrow (damn Utah spring weather). 11 miles and most of them will be on the actual half marathon course. And I am psyched. Last week I think I made myself anxious about hitting 10 miles but I am determined to enjoy this one. Wish me luck! Well my hips don’t lie. According to the PT my hips are the source of all my problems. But first – donuts. I think I’ve mentioned before that I’m not a crazy donut person but every so often I just need to have one. And lucky for me J had to buy a dozen or so to bring in for a work meeting. 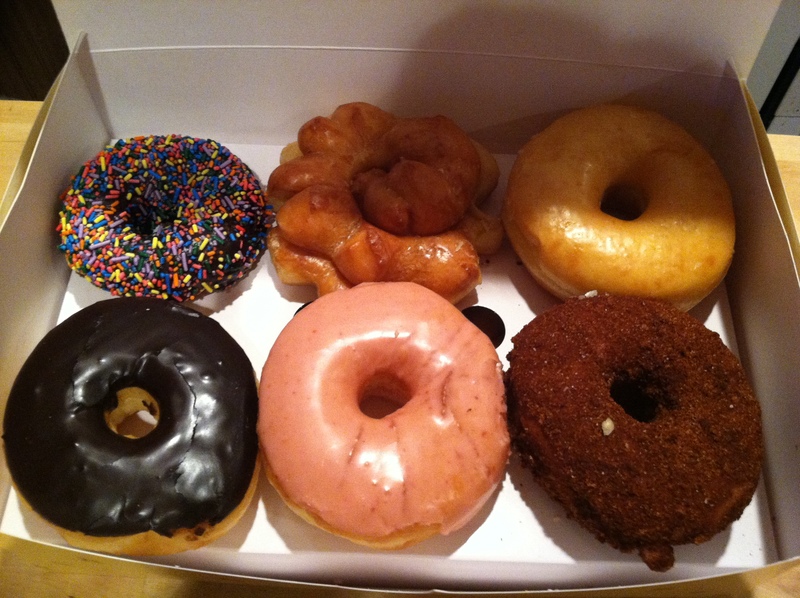 So we got up extra early, picked up our donuts and headed for yoga class. (We were working on going from wild thing to wheel – well I can do both separately but cannot work out how to link them together – any tips yogis?). Then back home to pick out my breakfast! I went for sprinkles – chocolate donut with chocolate frosting. Yes please! Now I’m pretty good for another 6 months. Today was a continuation of week of unpleasantness. PT appointment. Started out with some “massage” of my glute medius. Oh my God – THE PAIN! Holy crap! But I appreciated it afterwards. Type 2 experience. The major take home message was: (1) I can still run (Yay!) 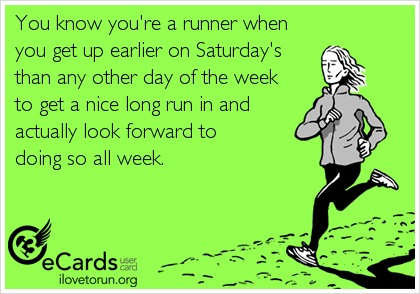 and even go ahead with my scheduled 11 mile run this weekend. (2) I need to build up the endurance in my glutes (3) Knee pain is secondary to weak hips so if I can fix that it should go away. (4) Ice, ice, ice. So I can keep running as long as my pain is less than a 3 on a pain scale of 10. Start doing daily glute strengthening exercises – mostly clam shells and leg raises. Plus crab walks, bridge hip thrusts and squats 3-4 times a wee.k. 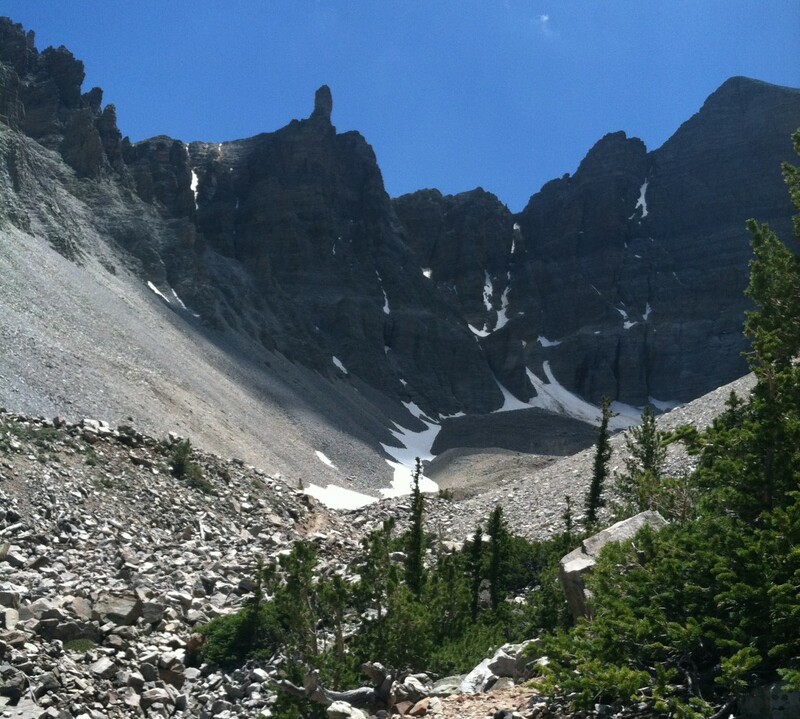 She did also recommend an ice bath after long runs which I am not so psyched about. Her exact recommendation was to sit in 6 inches of ice wearing a beanie and a down jacket. This might not happen but I will definitely ice a lot more than I have been doing. I am scheduled to get a massage about 9 days before the half marathon to work everything out. I am feeling pretty positive about getting back to full fitness. After my week tonight started with a glass of red wine. 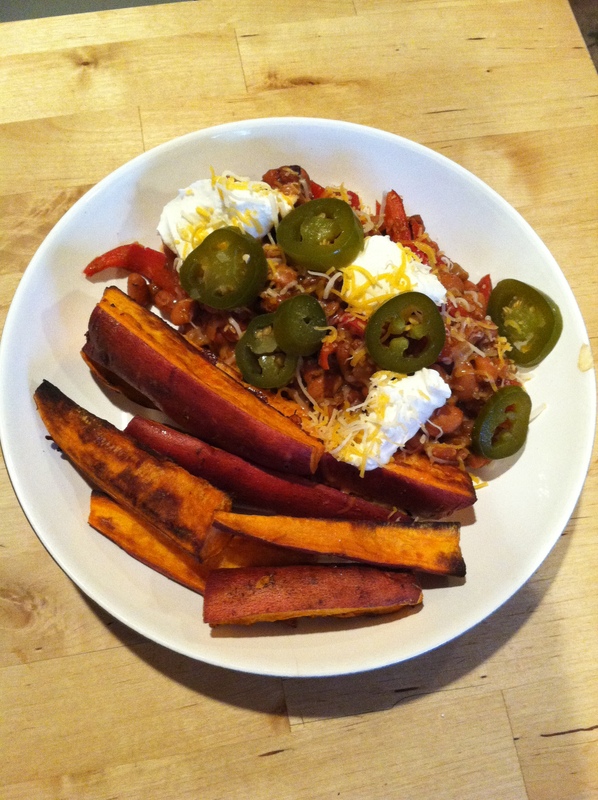 Then I made vegetarian chilli (the secret is to add a tiny bit of dark chocolate right at the end) with sweet potato wedges. Now I just have to get my taxes out of the way and my week of unpleasantness will be done! Sunday is long run day. And today was my first scheduled double digit run since………………May last year! Yikes! 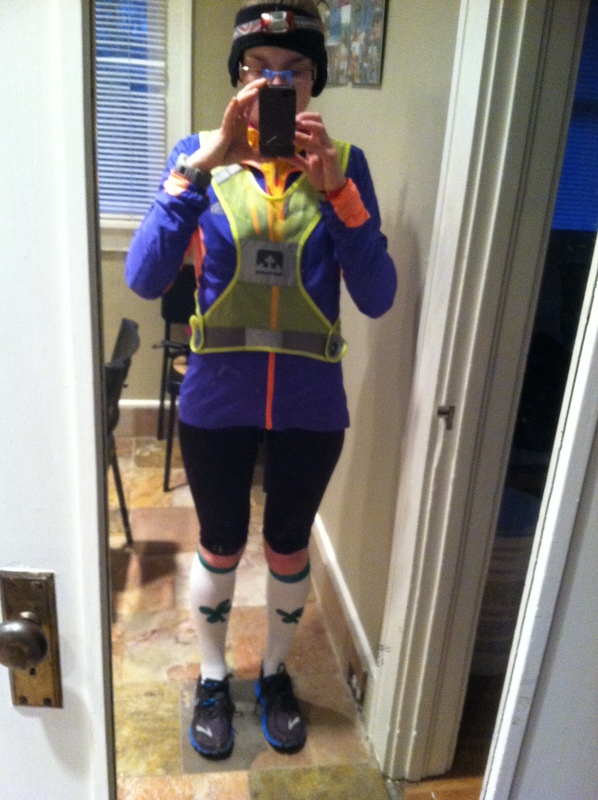 I ran my first half marathon on May 18th 2013 and had a fall half scheduled for November 3rd. Due to injury that never happened and the longest I ran over the summer was a 15K in August. This was followed by injury number 2 so my running year was cut drastically short. Lucky we’re having a burst of sunny weather – although it’s still pretty chilly in the mornings. It took two miles for my hands to warm up this morning. My route included a steady gradual uphill as I’m doing my best to prep for the potential nasty bits for my half marathon which is now just 4 weeks away. 10.02 miles at 8.33 min/mile pace. Mostly easy pace with a little twinge of my glut medius at about mile 8. You can bet I foam rolled that sucker when I got back. Had my trademark fruit smoothie, granola and my new favorite – fried egg and avocado toasted sandwich for breakfast. Feeling good. 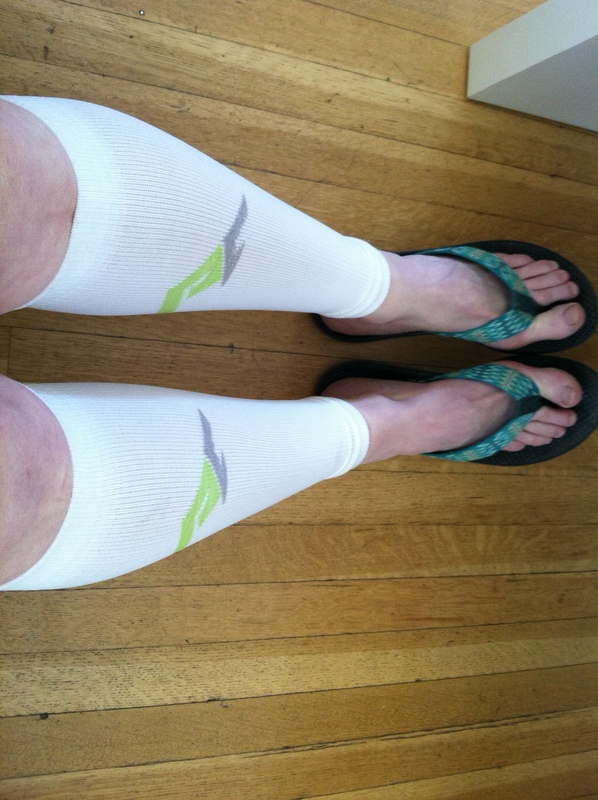 Got my ProCompression calf sleeves on and waiting for them to do their magic! Now I can just relax all day just have to put in a few hours at work before I can stuff my face with mac and cheese. Happy Sunday!